Printed By – Obchodní Tiskárny, n. p.
Vydalo Státní hudební vydavatelství, n. p., Praha pro Gramofonový klub v roce 1964 jako 116. publikaci edice kulturně osvětového odboru, řízené Jaroslavem Šedou. […] Vytiskly Obchodní tiskárny, n. p., Kolín. Stran 12 — VA 2,63 — AA 2,56 — náklad 7.250 — vydání I. Limited edition “Gramofonový klub” release, available to club subscribers as pre-order only, not in regular stores. Packaged within a spiral-bound cardboard sleeve with printed front cover and a sewed plastic bag, including 7 sheets with credits, extensive liner notes, a poem by Ivo Rožek (belonging to track B2), score examples and photos. Recorded in the second half of 1963 in studios of SHV (i.e. Supraphon) and Czechoslovak Radio. Uncredited recording dates: July 21 (A1, A2), September 14 (A4, A5), October 18 (B4), November 9 (A3), December 9 (B1), December 19 (B3), December 21 (A6, B2). Also released for Artia Prague with a gatefold picture sleeve as “Jazz In Czechoslovakia 5”, Supraphon SUA 15599, identical matrix numbers. 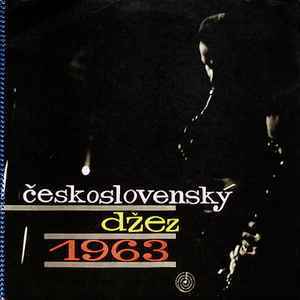 The ensembles were listed as: “Czechoslovak Radio Jazz Orchestra”, “Jazz Studio Prague” (both A2+B2), “Study Group Of Traditional Jazz”, “S+H Quintet Ensemble”, “The Metronome Group”, “Gustav Brom Orchestra”. English track titles: “Passacaglia”, “Outcry”, “On The Seventh Floor”, “Budapest Roulade”, “Mariam”, “Logarithm 6”, “Three To Four”, “Modern Woman Suite”, “The Page Of The Page”, “Picnic”. Note: Due to a temporary change in Czech grammar, the word “jazz” is transcribed phonetically as “džez”. Other (Sound recording copyright year code): X.